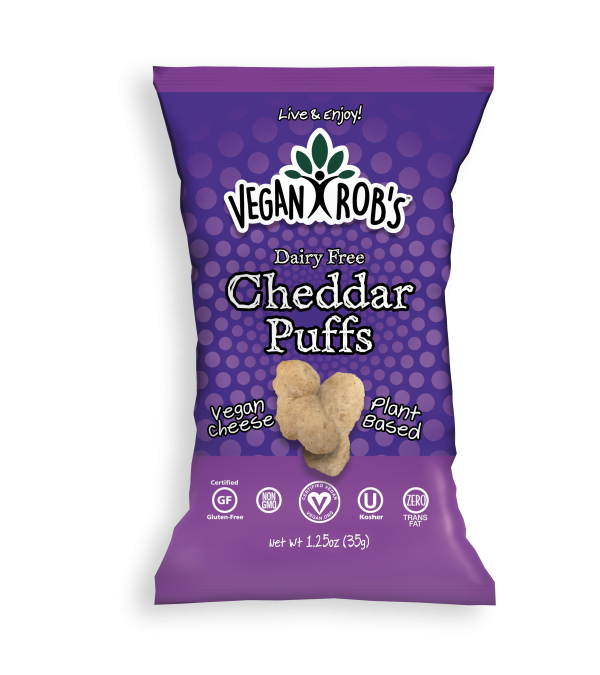 “Now you see them, now you don’t!” Cheese lovers rejoice! 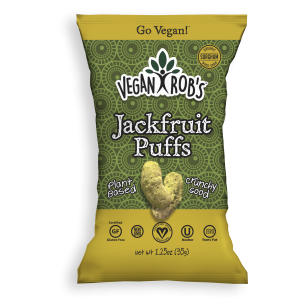 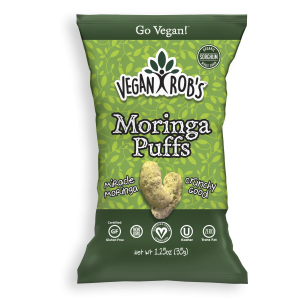 The only sleight of hand will be the one that devours these incredible dairy-free vegan cheddar puffs. 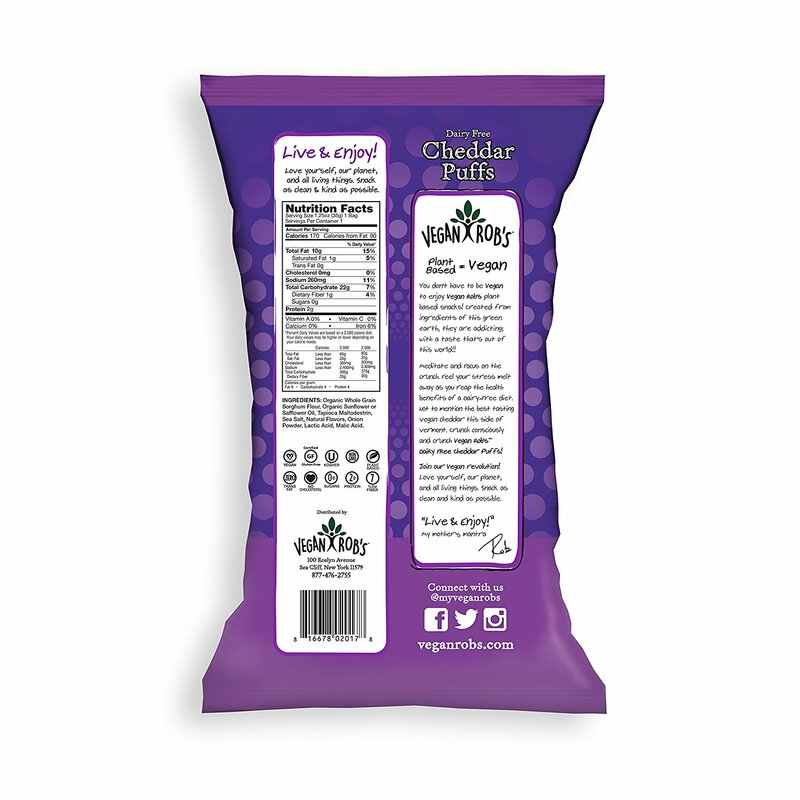 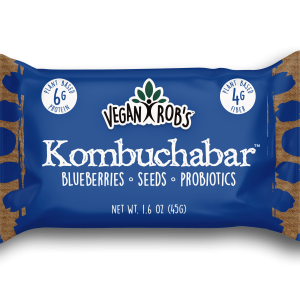 Ingredients: Organic Whole Grain Sorghum Flour, Organic Sunflower or Safflower Oil, Tapioca Maltodextrin, Sea Salt, Natural Flavors, Onion Powder, Lactic Acid, Malic Acid.